NASCO has received a $3,000 grant from the Cooperative Foundation to update the content and structure of the NASCO Co-op Organizer’s Handbook, transferring this comprehensive 60 page manual to a much more accessible web-based format! The Organizer's Handbook is a comprehensive guide to creating group-equity housing cooperatives, and is an essential resource for the student or community organizer focusing on housing issues. See the full list of 2015 grants here. Did you miss NASCO Institute this year? Maybe you lost your notes, or missed a workshop that sounded really exciting? Whatever the reason, we’ve got you covered! We have uploaded course materials from forty-five different workshops from this year’s conference. Check them out here! We’ll be posting videos from the event to our website soon, too. Enjoy! Job Posting - Executive Director - Waterloo Co-operative Residence, Inc.
Waterloo Co-operative Residence, Inc. (WCRI), located in Waterloo, Ontario, is hiring the position of Executive Director. Applications are being reviewed on an ongoing basis. Questions should be directed to Magnus Mee, HR Committee Chair, at hrcom@wcri.coop. Waterloo Co-operative Residence has provided co-operative student housing and programming for post-secondary students attending University of Waterloo and Wilfrid Laurier University in Waterloo, Ontario for over fifty years. They are currently seeking an exceptional candidate to fulfill the role of Executive Director and further enhance their non-profit co-operative. The Executive Director is responsible for the successful leadership and management of the organization according to the values and strategic direction set by the Board of Directors. The Executive Director is responsible for leading the organization by collaborating with the Board of Directors to create and implement an effective strategic and operational plan that encompasses all aspects of governance support, daily operations management of the co-operative residences. Responsibilities include financial oversight, human resources, marketing development, and community engagement and growth initiatives. After providing member cooperatives a two week extension to submit their annual dues in order to vote in the Annual General Meeting, ballots have been counted and results are in! We are please to announce that the new Active Member Representative, serving from March 2016 to March 2017, will be Carina Mata, from ICC Austin! It was a very close election (7x6x4x2), which reflects that commitment and enthusiasm that all of the candidates displayed. Thank you all for participating, and congratulations Carina! You can continue to submit nominations to us until midnight, CST, on Friday, November 13. One of NASCO's members, the Berkeley Student Cooperative, is currently accepting applicants for two professional jobs, their Member Resources Supervisor position and their Rochdale & Fenwick Apartment Manager position. More information about these positions can be found by visiting their hiring website (hicom.bsc.coop) or by clicking the links above. Low Income Scholarship Fund deadline extended! We have extended the deadline to apply for Low Income Scholarship Funding to attend NASCO Institute 2015! If you missed the deadline, it is not too late to apply. We will accept applications until October 16, 2015, and notify people by October 20, 2015. (People who applied by October 05 will still be notified by October 09 in order to get the early registration rate). NASCO's scholarships are able to support registration and travel costs for folks who are low-income, rural, from marginalized groups, youth, and others who face financial barriers to attendance. Please pass this update to others in your cooperative who might be interested in applying! Registration for NASCO Institute 2015 Now Open! Over 400 participants will converge on Ann Arbor, Michigan from October 30th through November 1st, 2015 to share ideas, learn new skills, and look at issues affecting the cooperative movement worldwide. Since 1977, NASCO's Cooperative Education & Training Institute has been widely recognized as one of the most important training and networking opportunities available to members, directors, staff and managers of group-equity cooperatives. The annual NASCO Institute is always a one-of-a-kind opportunity to network with hundreds of cooperative leaders and employers, to caucus about pressing issues, and to work on building an inclusive and accessible cooperative movement. Since 1930, cooperatives across the United States have joined together in October to celebrate our collective history and shared impact as a movement. Various co-ops recognize this holiday in different ways: some organize educational events, others throw parties, even more use this as an opportunity for community outreach, the Cooperative Development Foundation holds a 5 kilometer race through Washington DC, and we’re holding a Co-op Photo Contest! We invite you to share your plans with us as you celebrate Co-op Month, or Co-op Week in Canada (October 11-18)! Share photos of your co-op celebrating #CoopMonth with the NASCO community on Facebook or Twitter, or email them to coop.month@nasco.coop. Prizes will be announced at NASCO Institute! 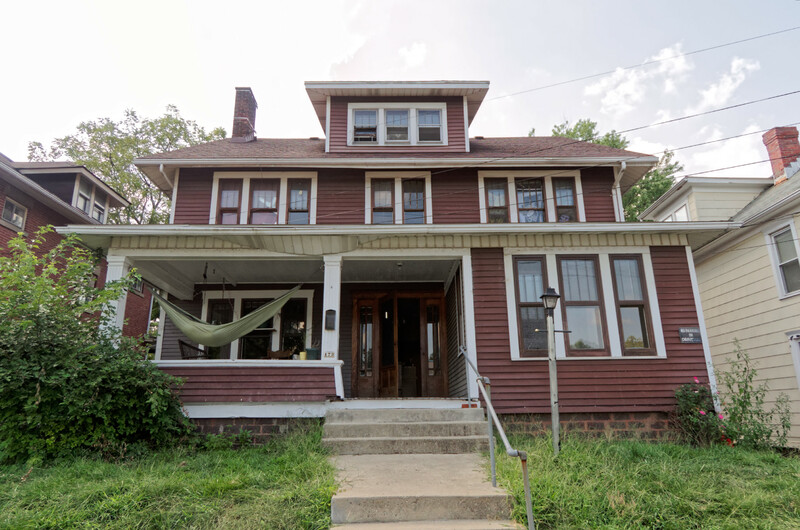 In May 2015, the Student Cooperative Organization and NASCO Properties purchased a new co-op house in Athens Ohio. The Student Cooperative Organization was established 25 years ago to serve students at Ohio University, and has operated an 8 bedroom coop in Athens since that time. In addition to the two houses operated by Student Cooperative Organization and NASCO Properties, Athens is also home to a worker-owned cooperative restaurant, as well as a cooperative co-working space for professionals. With this much local interest in cooperatives, we hope to see more co-op development in Athens in the near future!